You can create a route in Movescount, or import a route created with another watch from your computer to Movescount. You can also record a route with your Suunto Ambit2 and upload it to Movescount, see Recording tracks. Activate Moveslink and connect your Suunto Ambit2 to your computer with the Suunto USB cable. 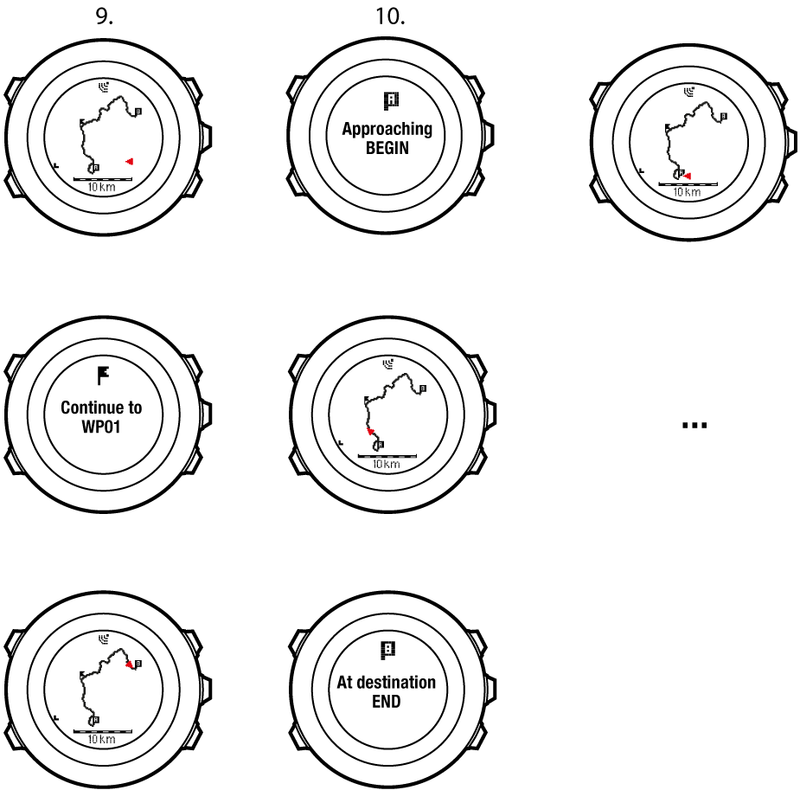 The route is transferred automatically to the watch. Make sure that the route you want to transfer to your Suunto Ambit2 has been selected in Movescount. You can navigate a route you have downloaded to your Suunto Ambit2 from Movescount, see Adding a route. If you selected a waypoint in the middle of the route, Suunto Ambit2 prompts you to select the direction of the navigation. Press Start Stop to select Forwards or Light Lock to select Backwards. 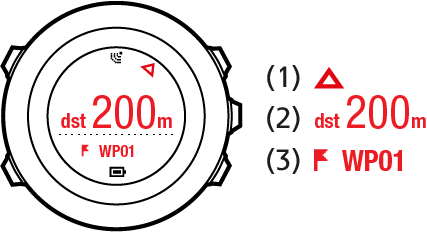 If you selected the first waypoint as the starting point, Suunto Ambit2 navigates the route forward (from the first to the last waypoint). 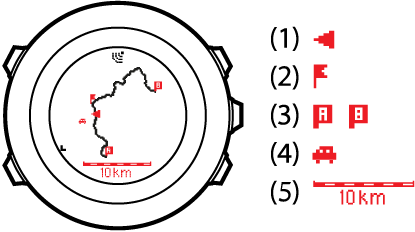 If you selected the last waypoint as the starting point, Suunto Ambit2 navigates the route backwards (from the last to the first waypoint). Activate Moveslink and connect your Suunto Ambit2 to your computer with the Suunto USB cable. 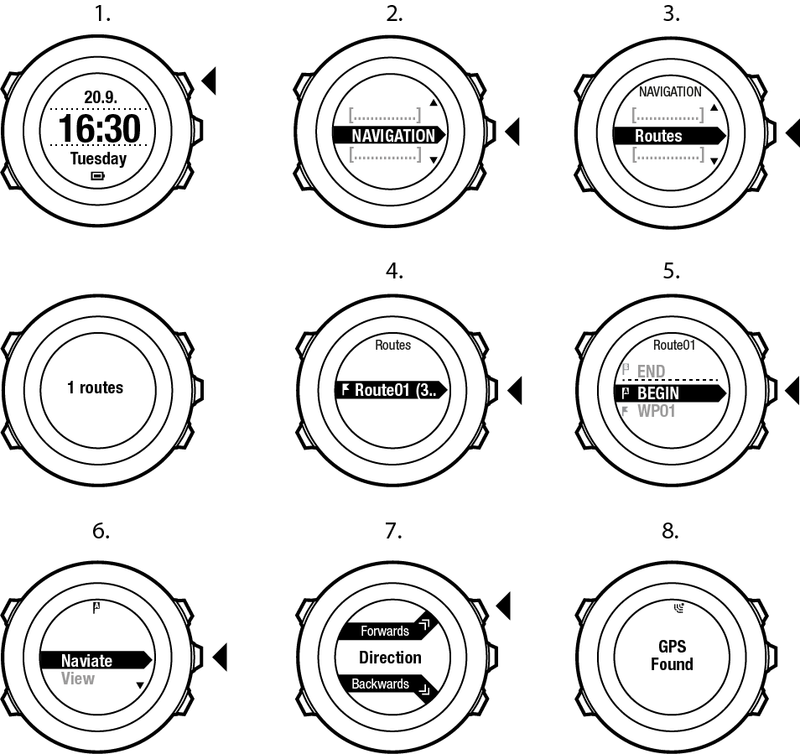 While the settings are synchronized, the route is removed automatically from the watch.